Although a stylus was initially considered as outdated technology, Samsung stuck to its vision and the Note series has its loyalists. 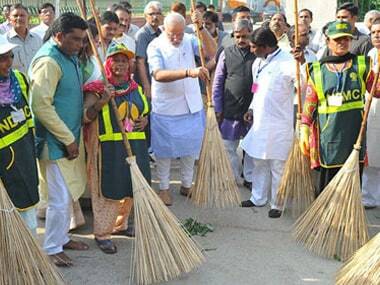 "All ministries have prepared the action plans for Swachh Bharat Mission for the current financial year 2017-18 and for 2018-19. The respective ministries have committed Rs 5,300 crore budget for sanitation this year,"
The number three global smartphone brand, Huawei announced at this week's Consumer Electronics Show that its Mate 9 handset would include the personal digital assistant developed by Amazon. According to a recent report, HMD Global will launch four new smartphones in addition to one that will launch during MWC 2017. The latest device, OnePlus 3T replaces OnePlus 3, the current flagship that was launched back in June. Sony India has opened up sales for the latest flagship smartphone, Xperia XZ. The flagship is available on Amazon at Rs 49,990, down from the MRP of Rs 51,990. Smartphone shipments did not overtake feature phone shipments in India in 2016, despite expectations from industry trackers. Xiaomi Mi India has just announced a permanent price drop for the latest flagship smartphone from the company, Mi5. Mi5 will now be available for Rs 22,999 exclusively on Flipkart and Mi.com. OnePlus proves it has learnt its lessons after swift roll out of Oxygen OS 3.2.1. OnePlus 3 gains official TWRP support with TWRP 3.0.2.